So, it does happen. 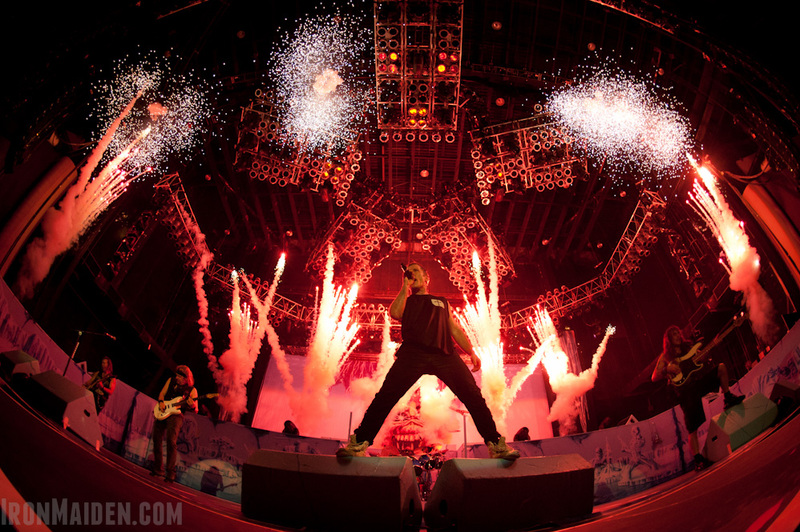 Iron Maiden will do one more show in their home country on this tour! In truth, a Maiden England World Tour with zero British shows would be a bit of a bummer… And only Donington on the schedule was less than what many fans in the UK and Ireland were hoping for in light of 1988. Well, the Irish didn’t get a gig on that tour either, to tell the truth. So, this might not be that much of a victory for fans around the isles, and it seems that the band only wanted Donington out of the way before they announced it, which is the way the concert business often works. Iron Maiden will play the London 02 on Saturday August 3rd. Party night, isn’t it? And this show looks better indoors. Go here for info about tickets and FC pre-sales. ← The Summer of Maiden!